Robert Dugoni is the critically acclaimed New York Times, Wall Street Journal, and Amazon bestselling author of the Tracy Crosswhite Series, which has sold more than 4 million books worldwide. 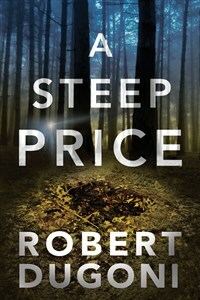 He is also the author of the bestselling David Sloane Series; the stand-alone novels The 7th Canon, Damage Control, and The Extraordinary Life of Sam Hell, for which he won an AudioFile Earphones Award for the narration; and the nonfiction exposé The Cyanide Canary, a Washington Post Best Book of the Year. He is the recipient of the Nancy Pearl Award for Fiction and the Friends of Mystery Spotted Owl Award for best novel set in the Pacific Northwest. He is a two-time finalist for the International Thriller Award, the Harper Lee Prize for Legal Fiction, the Silver Falchion Award for mystery, and the Mystery Writers of America Edgar Award. His books are sold in more than twenty-five countries and have been translated into more than two dozen languages. Visit his website at www.robertdugoni.com.